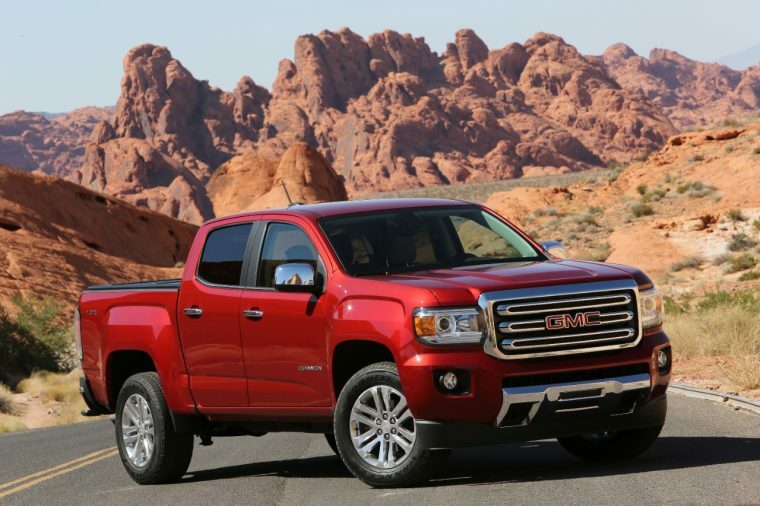 GMC brand sales declined 8.7% in September with a total of 43,268 vehicles delivered to US customers. Retail sales were down 5.6% at 38,695 units. Five of the seven vehicles in GMC’s lineup experienced year-over-year sales increases, but the two vehicles to see declines were down enough to offset those other gains. Sales of the Sierra were down 8.5% overall at 18,068 units delivered. Despite the hiccup, Sierra sales are up 1.7% year-to-date with a total of 164,440 trucks delivered, and retail sales are the highest they have been since 2006. Terrain sales fell 48.3% at 5,656 units; year-to-date, sales are down 18.6% at 67,912 units. Otherwise, September was relatively rosy for GMC. Canyon sales increased 26.5% at 2,949 units delivered; retail sales were up 25%, good for the highest total the truck has ever seen for the month of September. Through nine months, Canyon sales are up 21.3% at 27,205 units, and retail sales are also on pace for a record best. Yukon sales were up 33.6% at 5,296 units, and Yukon XL sales were up 15.6% at 3,500 units. At retail, the Yukon and Yukon XL both earned their best September performances since 2007 with increases of 24% and 9%, respectively. Sales of the Yukon are up 17.7% through nine months, and Yukon XL sales are up 15.2%; retail-wise, both are experiencing their best first three quarters since 2007. Acadia sales rose 2.2% at 6,795 units, and Savana sales rose 37.9% at 1,004 units. Other less visible metrics for success include Denali penetration, which was 28% for September, and a $44,144 ATP that was 45% higher than the industry average and the second highest in brand history. Through September, GMC’s sales are down 4.6% at 391,432 units delivered, and retail sales are down 2.2% at 345,478 units.